The Piccadilly Gateway is Europe's first and largest 'skyscraper' outdoor screen. In a prime location and standing 19m high, 207,000 people per day see the screen on average. This is a fantastic opportunity to raise your company profile within the area towards the thousands of people that pass the screen daily. One Outdoor Media/Elonex’s in-house design team will work side by side with clients to create the best visual possible for your company. Slots are then limited to 4 local adverts in a slot to ensure maximum exposure during that time period. 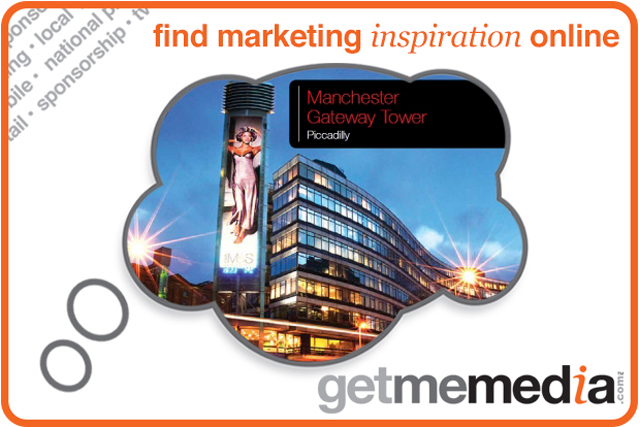 The Giant LED Gateway Screen (adjacent to Manchester Piccadilly Train Station) ensures maximum exposure for Local and National businesses to promote their services, building brand awareness. Find out more on how you can create brand stature with One Outdoor Media/Elonex.